Thu., July 26, 2018, 11:30 a.m.
Washington Department of Fish and Wildlife budget director Nate Pamplin told media this week the need for “a fairly significant capital investment” played a role in the decision to close the Naches fish hatchery next June. Mathes said the disagreement stems from the summer of 2015, when devastating drought led the agency to move fish to the Columbia Basin hatchery, even though Mathes insists he and co-worker Kyle Huwe had enough water to handle their relatively light summer production. 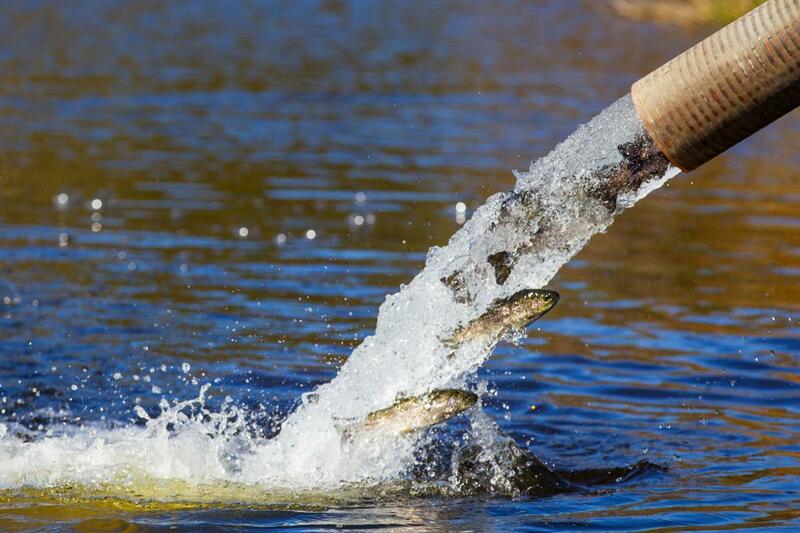 The wells were changed and in the three years since, the hatchery has operated smoothly with strong water flows. Still, shortly after announcing plans to shut down the Naches hatchery earlier this year, administrators told Mathes part of the problem was the need for $2.3 million to fix the water issues and make other improvements. But Mathes said a complete rebuild in 1989-90 gave the hatchery quality facilities and the flows of 38 cubic feet per second in 2015 were an anomaly far worse than the previous record low of 61 CFS in 1938. Mathes said officials cited a $1.8 million cost to fix the water issues with an additional $500,000 needed for pond restoration. But when he pointed out Naches’ facilities are better than most in the state and asked for more details, Mathes said Cunningham couldn’t provide an answer. Cunningham is on vacation this week and neither Pamplin nor anyone else could respond to questions about the need for additional investment. They’ve both said other hatcheries would be able to replace virtually all of the stocking done by Naches, although Mathes has questions about the efficiency of those efforts and has seen no plan to replace production at the difficult-to-reach higher elevation lakes or deliver 300,000 kokanee to Kachess Lake near Snoqualmie Pass. The Wildlife Department’s proposal would shut down the Naches hatchery at the end of June 2019, eliminating the jobs of Mathes and Huwe, who also provide educational opportunities to local students. Mathes plans to speak to the Fish and Wildlife Commission with support from state Sen. Curtis King, R-Yakima, at the group’s Aug. 10 meeting, when it’s scheduled to decide whether to approve the department’s budget proposal. Published: July 26, 2018, 11:30 a.m.